We all want thankful children who notice the things others give to them or do for them and express this thankfulness freely and without being reminded to do so. We love it when others are grateful for the things we do for them and let us know. How intentional are we though when it comes to teaching our children the character quality of thankfulness? Before Christmas, we talked a lot about receiving gifts, thankfulness and good manners in relation to receiving gifts. I have tried to take this one step further with the children by instilling in them the importance of giving thankyou cards. It’s almost a lost art these days. A quick email or phone call is easy to do and better than nothing, but it is so much more personal and special to receive a handwritten card of thanks. A friend of mine always sends thank you cards, (well done Miss Jaq!) even after a visit for dinner. They are so pretty and such a bright spot in my day and I have endeavoured to make it a habit for myself and the children with varying degrees of success; in busy seasons it just sometimes gets away from me. Yesterday we all sat down and had a card making session together (minus the baby and toddlers.) It was lots of fun and we all enjoyed creating a variety of designs. 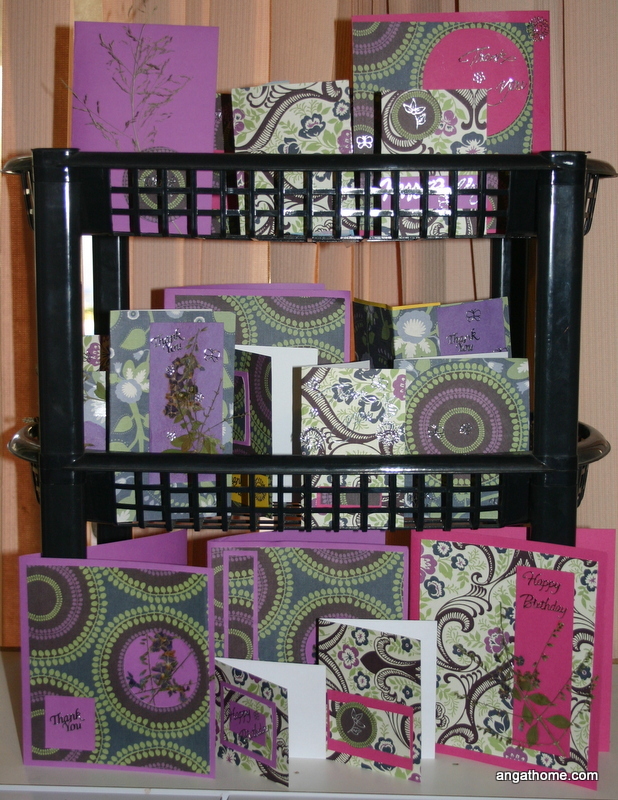 We used a bunch of pretty papers, some silver thank you stickers, flowers and butterflies and some coordinated card. My scrapbooking shape cutters came out, a stick of glue and some flowers and leaves we had previously pressed.